You are currently browsing the archives for the tag 'fashion editorials'. Tomorrow, May 14, “Kaiser Karl” will reign over the world of fashion once more. 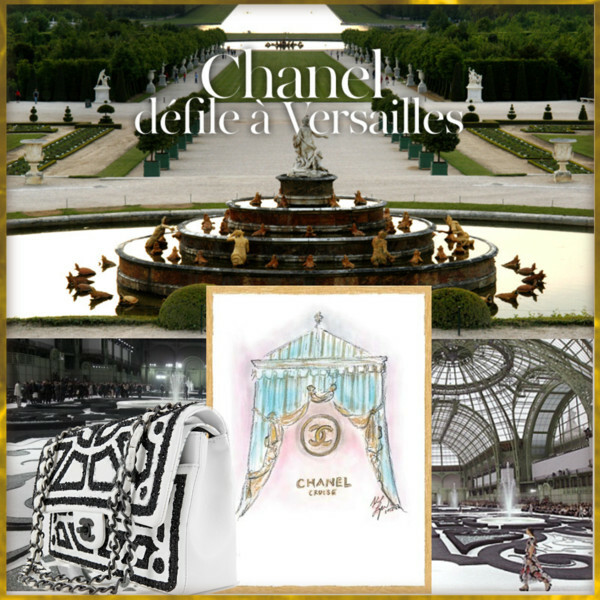 Lagerfeld will show his Resort 2013 collection for Chanel at Versailles. Of course, it will be a big production, but all details are still under wraps. Past Chanel Resort shows have been presented at the Lido in Venice (Resort 2010), and one of my favourites, in St. Tropez (Resort 2011). Their locations usually bewray the inspiration for the collection. Versailles was the famous place where the French royal family ruled in extravagance for 100 years before the French Revolution. What does come to your mind? As for me, I could only think of excess, rich fabrics, opulence. I am truly curious what Karl Lagerfeld has been thinking of. If anyone is up to the task to pay tribute to Marie Antoinette or to revive those decadent moments in time, it is definitely him. I am sure that he will surprise us as the setting has to be different from his S/S 2011 Chanel show that was based on Versailles’s extensive gardens (see above). If you look in fashion history, this won’t be the first time Versailles has been used for a show. 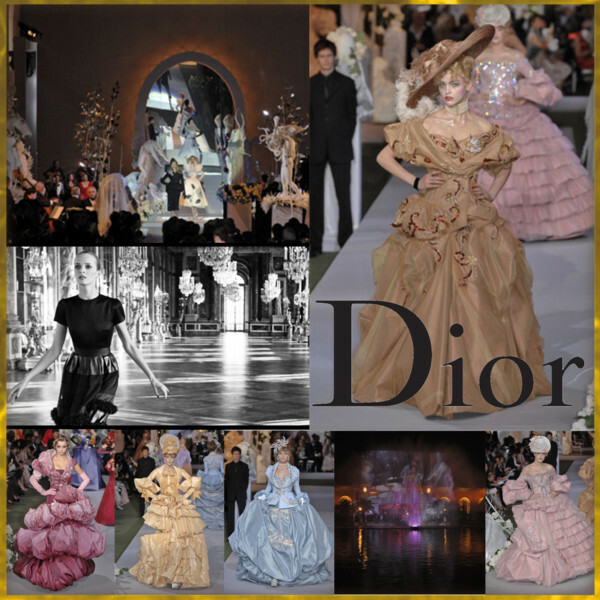 In 2007, John Galliano rented out the palace for a huge spectacle – Dior‘s 60th anniversary couture show. In 1973, five upcoming US-designers, Anne Klein, Stephen Burrows, Halston, Bill Blass, and Oscar de la Renta faced off against French couturiers Yves Saint Laurent, Christian Dior, Hubert de Givenchy, Pierre Cardin, and Emanuel Ungaro in a runway spectacle that became known as the Battle of Versailles. The French designers were certain of victory, due to their long tradition and know-how. But the Americans had a secret weapon; a vibrant group of eight African-American models plus the wish to conquer the European world of fashion. And the celebrity-packed audience of 800, including a tiara-wearing Princess Grace cheered to their performance. It was that chilly night changed the face and colour of fashion forever. There have also been numerous fashion editorials photographed at Versailles over the years. Please enjoy this little summary of some of the most beautiful ones, along with other palace-set shoots by Karl Lagerfeld himself. Stay tuned for the photos of the Chanel Resort 2013 show.